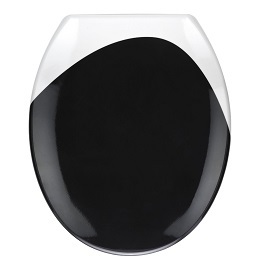 Black meets white in the design of the Wenko Duroplast Black Wave Toilet Seat, a high quality toilet seat that will bring a modern look to any bathroom. The seat has a unique design that is primarily black in colour. A high contrast white wave at the top of the toilet seat creates a striking two-tone effect that makes the toilet seat sophisticated and stylish. Polished to add to its sleek look, the toilet seat will complement many colour schemes in the bathroom and will capture the eye of guests without being too flashy or ostentatious. It's the perfect mix of style and simplicity and sure to enhance the look of the room. 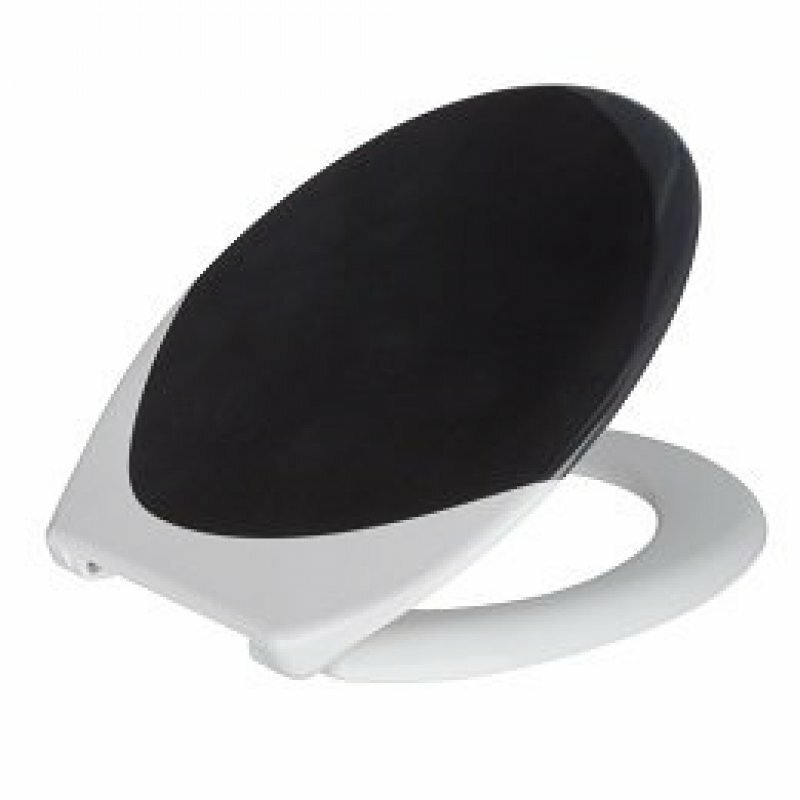 The Wenko Black Wave Toilet Seat is constructed out of Duroplast, a heavy-duty composite plastic that is highly resistant to breakage and wear and tear. Duroplast also discourages the growth of mould and bacteria to keep the bathroom sanitary. The hygienic ring included in the design is as strong as the lid and is virtually unbreakable to stand the test of time. The steel mounting makes the toilet seat easy to install, and it will resist rusting to keep the bathroom accessory looking great for years to come.